This article will discuss IBM Watson Media Ad operations on using DFP for mobile APP Ad integration. 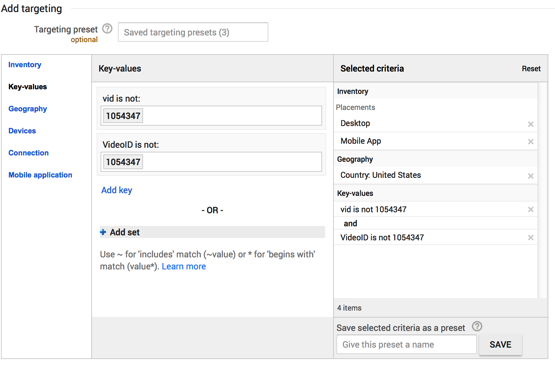 The IBM Watson Media method of integrating DFP for Live Video is using Ad Units (not Apps). 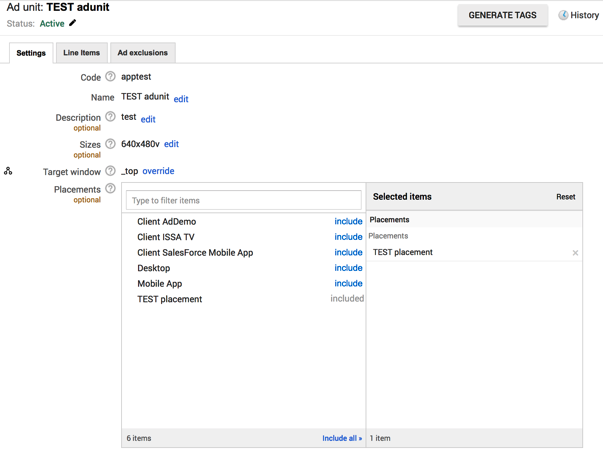 This allows using an individual ad tag for each App and ad type (targetable separately). Ad Units can be further grouped into Placements for ease of targeting. 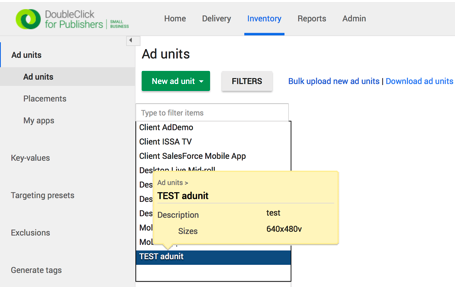 The Code is the unique identifier of the Ad Unit which will go in the Ad Tag, and in the Apps to connect them with the server. Ideally these are short and descriptive. 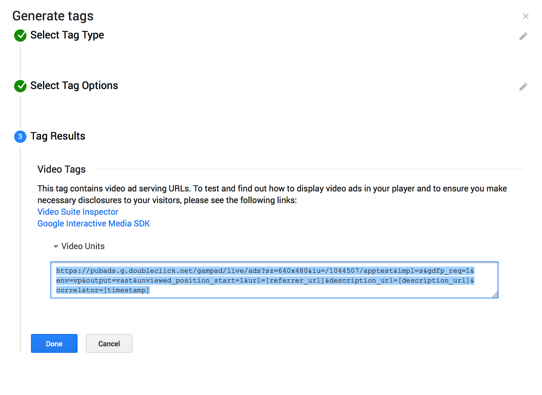 Use the 640x480v size, which is the default for Video ads. 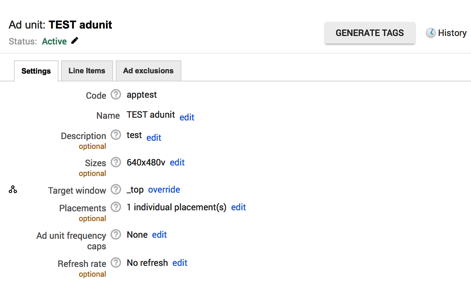 Optionally, you can create targeting Placements and assign multiple Ad Units to them. This is not required, e.g. IBM CV does not use this layer but creates and adds 1 Ad Placement per Ad Unit for future use. 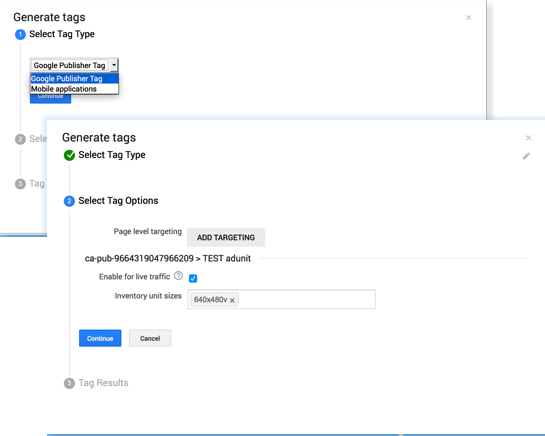 Integrating Google IMA SDK into an app allows the use of VAST tags to connect to DFP. Using these standards make both ends replaceable and universal for expansion. 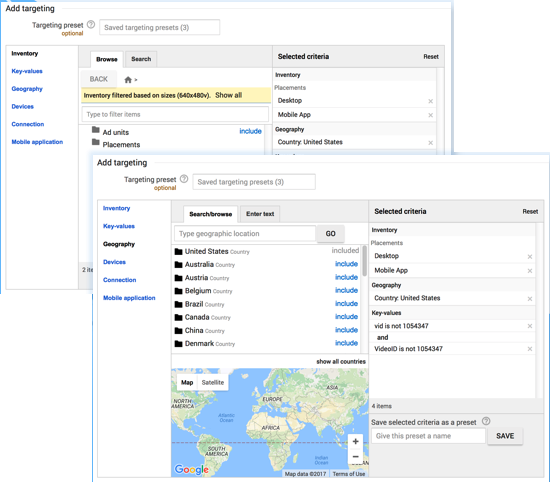 Using Google IMA can utilize any VAST tag which allows the apps to connect with any ad server directly, if DFP is to be bypassed or replaced. DFP and IMA are both Google products. For this purpose IBM Watson Media uses the Google Publisher Tags (not Mobile Applications). 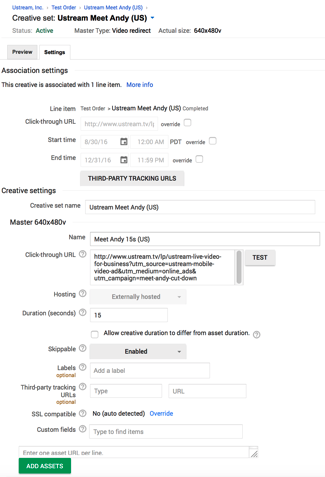 Tag options should be pre-populated, checking Enable for live traffic is advised for Ad Tags placed on Live streams. 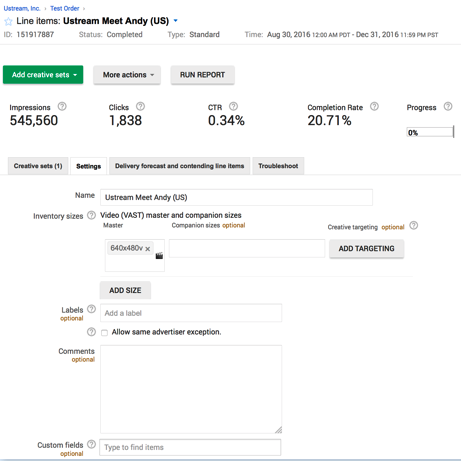 Targeting can be added but is not necessary, individual ads can be targeted separately. The end result should be a VAST tag, which can be used in the GIMA SDK in the App for fast and easy integration. This tag optionally could be further modified to carry key-value pairs, custom parameters with meta-data DFP doesn’t collect automatically. 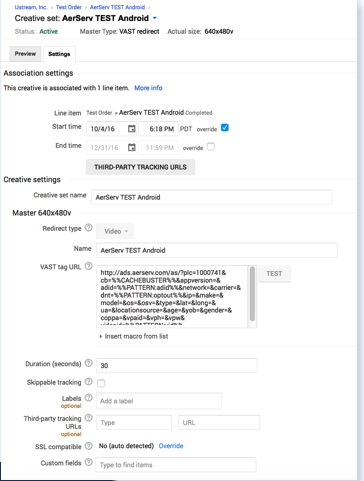 This can include content ID, AdID or IDFA, demos, LAT/LON, etc. Orders are assigned to Advertisers, Line Items to Orders, Creatives to Line Items. Creatives can be shared across multiple Line Items. 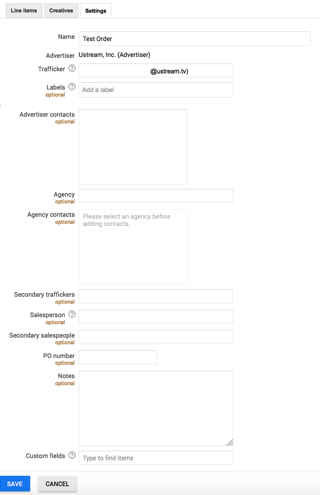 Optionally, Ad Orders can be set up with additional information on contracts, Agency, assigned Trafficker users, Salesperson, etc. to help keep track of the revenues generated from them. Orders can also be set up without using any of these settings. Line Items carry most of the targeting and pacing info as well as goals, priority, flight dates, and creatives. Use size 640x480v for Video (VAST) for video ads. Line Items will signal if they are not running, e.g. if they lack a creative or approval. There are two main options, use Video creative if you have the (location of) the video file, or use the Redirect creative if you received a 3rd party ad tag. 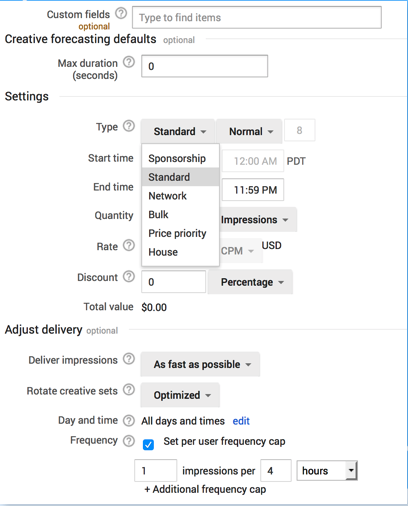 Line Items can be set to outrank (Sponsorship) or share priority (Standard) with other ads across the targeted inventory. Alternatively, they can run as non-guaranteed amounts effectively as backfill, optimized based on CPM rates (Price Priority) or just run as the last option (House). Pacing and Goal line items can be set to different Flight Dates within the Order, different rates, discounts, and also different Goals and pacing. They can run evenly or ASAP, delivered front-heavy, rotate creative sets evenly or optimized, and applied with a frequency cap. Goals can be set optionally to either metric. Most of the targeting is done on the Line Item level. Most of it is optional, leaving out targeting expressions means no restrictions for the Ad. Generic, always available types are Geographic targeting, Ad Units (Placements), Operating Systems, Devices, etc., and any combinations. Passing Key-value pairs with the DFP Tag dynamically from the Apps will allow you to target to Meta data or other custom information. To do this, first you need to make sure to add these variables to the generated tag, then register the key-value names and accepted values under Inventory > Key-values. Please refer to Google’s Support pages on the proper syntax to add variables to the DFP Tag. IBM Watson Media can also provide examples.